Uses only the most powerful natural ingredients designed to support bodybuilding. 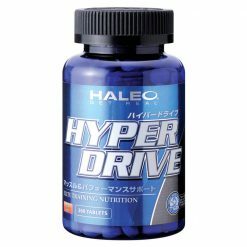 The most powerful natural ingredients were blended together to create the Hyper Drive formula for bodybuilding athletes. 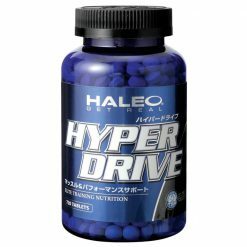 The Hyper Drive formula contains 6,000mg of the highest quality essential amino acids (EAA). An EAA is an amino acid that cannot be synthesized in the body and thus needs to come from your diet. Ingestion of free-form amino acids at the proper dose and carefully designed ratio in Hyper Drive while weight training will produce the best bodybuilding results compared to any other natural supplements. 400mg of powerful phosphatidylserine (PS) has also been been blended into Hyper Drive. The soybean lecithin-derived PS protects the body from muscle breakdown that occurs after exercise . PS alone is a powerful nutrient for athletes, but in combination with the EAA in the Hyper Drive formula, its effects on helping to build a muscular physique are greatly enhanced. As a final touch to Hyper Drive’s innovative formula, it also includes the powerful arginine and C3X, the world’s first BCAA transport system. These two ingredients maximize the potency and power that Hyper Drive delivers. 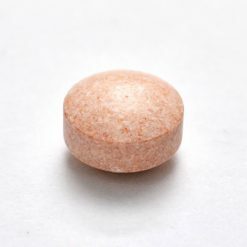 Take 20 tablets per serving with water or the beverage of your choice before and after exercise. Take 2 servings (40 tablets) prior to a high intensity workout focused on weight training.